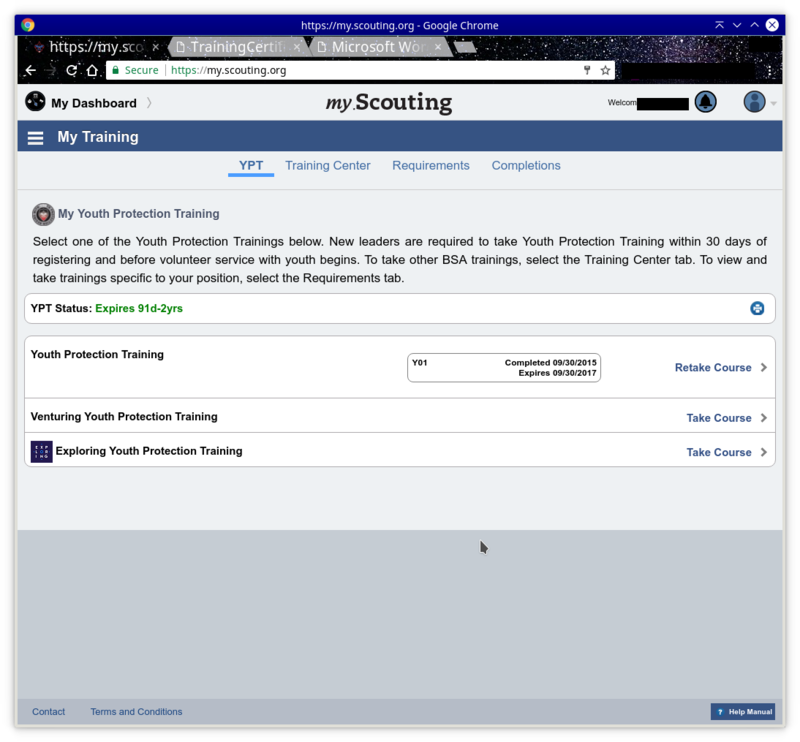 This is a small tutorial on how to compete the BSA Youth Protection Training. It is an online course that takes about 30 minutes to complete, a bit longer if you have to make an account. 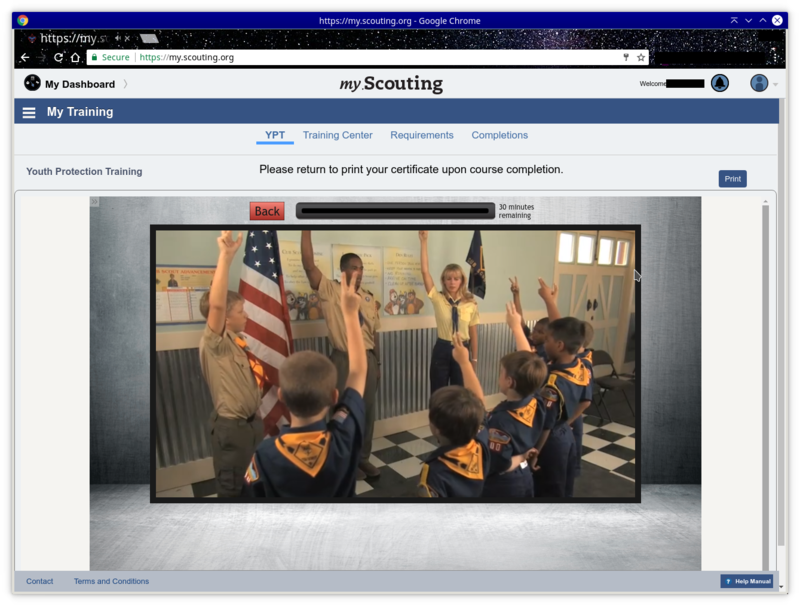 All troop leaders and any adult who will accompany the scouts on any scouting event must complete this. This is not intended for scouts, only adults. You can click on any of the pictures in this post to see the full size versions. 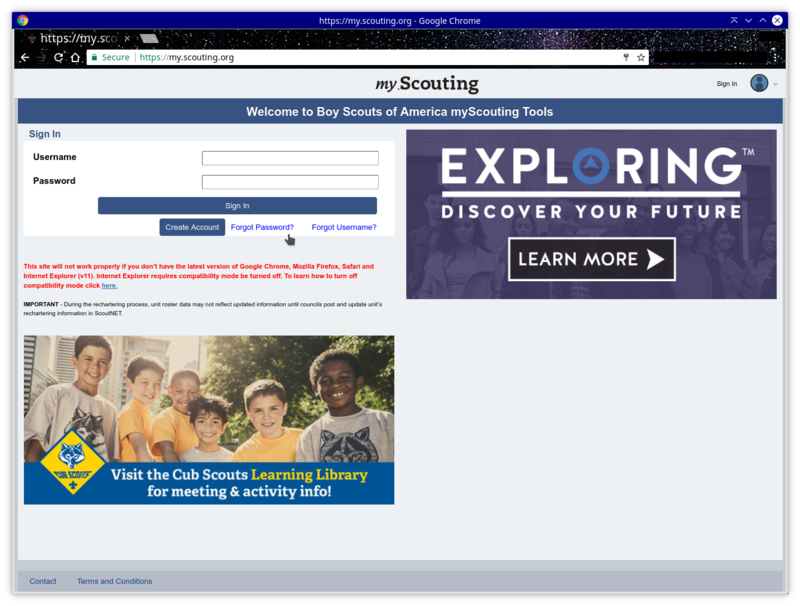 First open a browser and go to my.scouting.org (click here) where you will see the login screen. Either sign in or create an account. 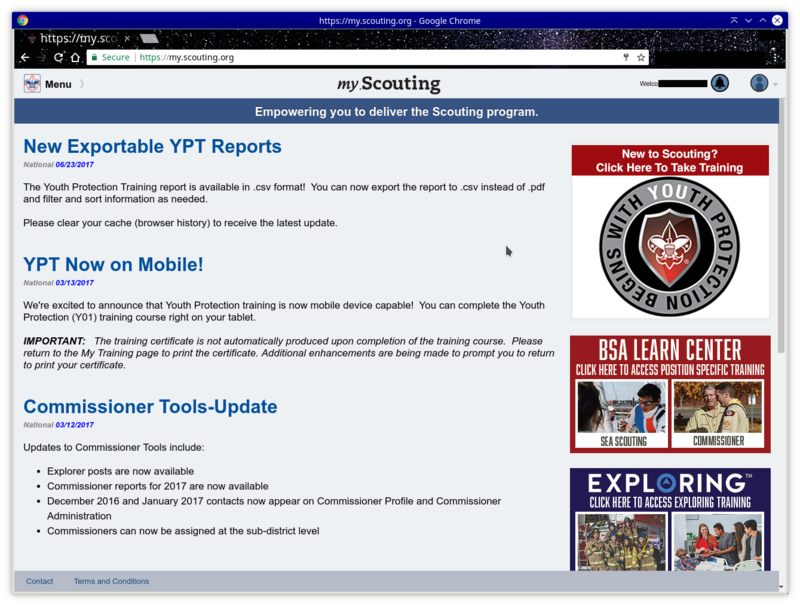 Once you have logged on you will see a big red link to the YPT course on the right at the top of the side bar. 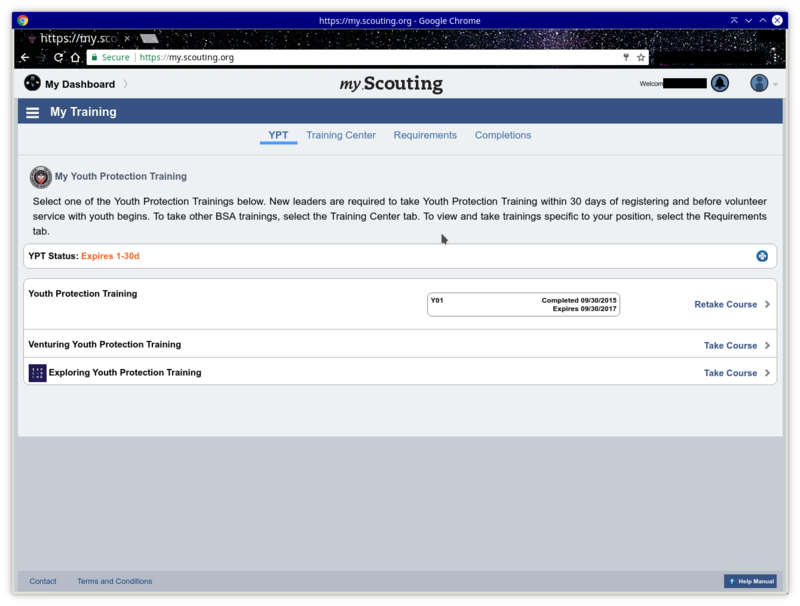 Clicking on that will bring you to the training part of your dashboard where the link to the course is. Click on the words ‘Take Course’ towards the right to start. If you have already competed the training in the past then you’ll see the words ‘Retake Course’ like in the screenshot below. This is what the start of the course looks like. 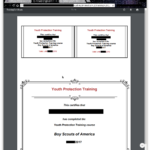 You will need to watch some videos and answer questions correctly to complete the training. Once completed you will have to print out your certification. 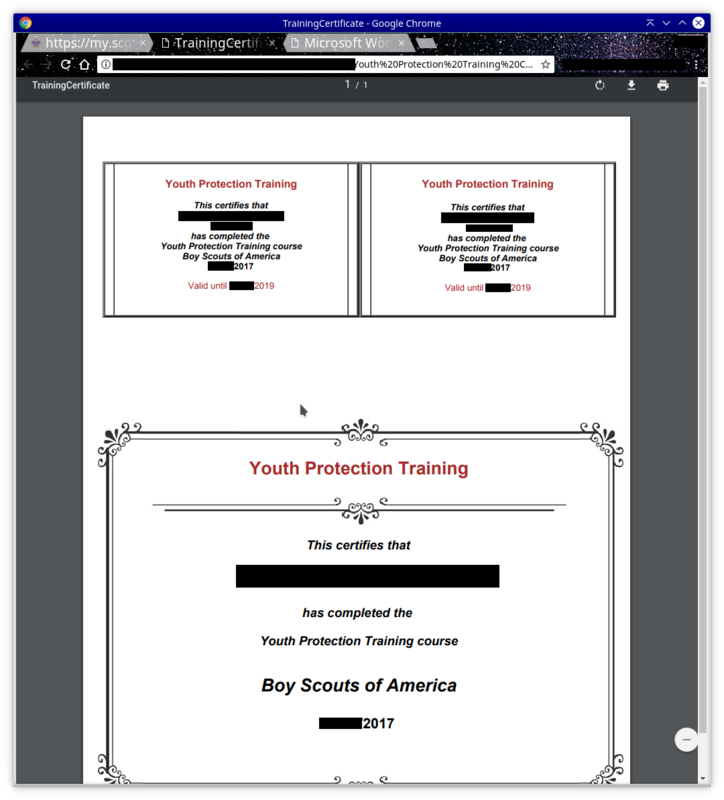 There are wallet size certifications and you should cut them out and keep one in your wallet since that is what you will need to show to prove that you took the course. This is how I did it. 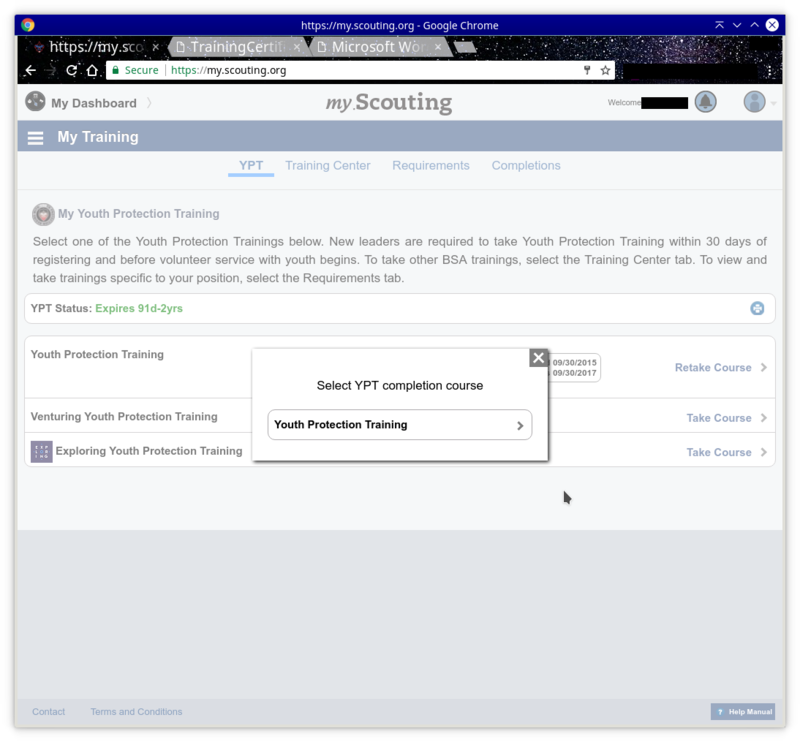 Go back to your Dashboard / Training screen and click on the blue icon on the far right of the YPT Status bar. You will probably see only one course so click on the arrow thing in the little pop-up box. This brings up your completion certificate. You will want to both save the file and print it out. This entry was posted in Training, Troop News. Bookmark the permalink.